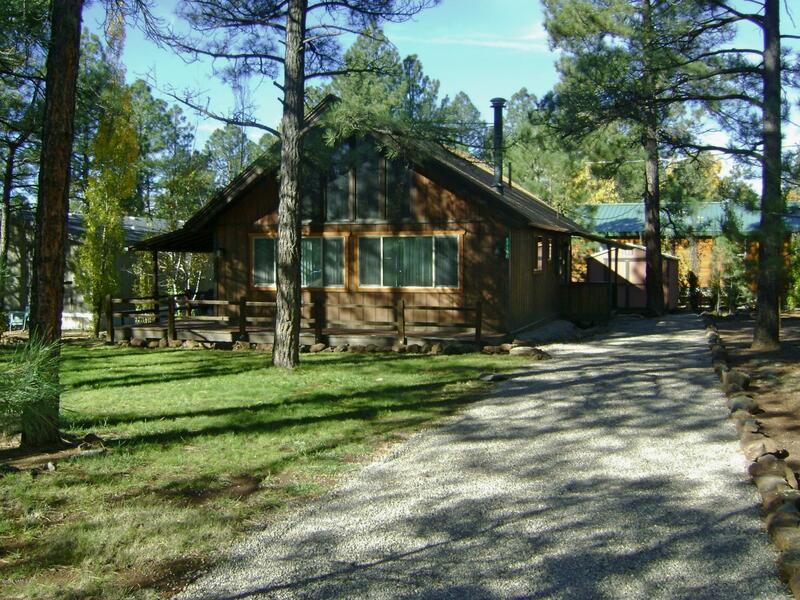 Enchanting Mountain Chalet has 2 bedrooms on main floor and huge sleeping loft upstairs. Great room has open kitchen and a wood burning stove. Soaring T&G Wood ceilings. Larger well treed lot affords plenty of room for parking and outdoor activities. Large storage shed for all your toys and equipment. New interior paint, barn wood & T&G accents. Dual pane windows. Laminate flooring throughout. Ceiling fans throughout. This fabulous cabin comes with a One Year Home Warranty.